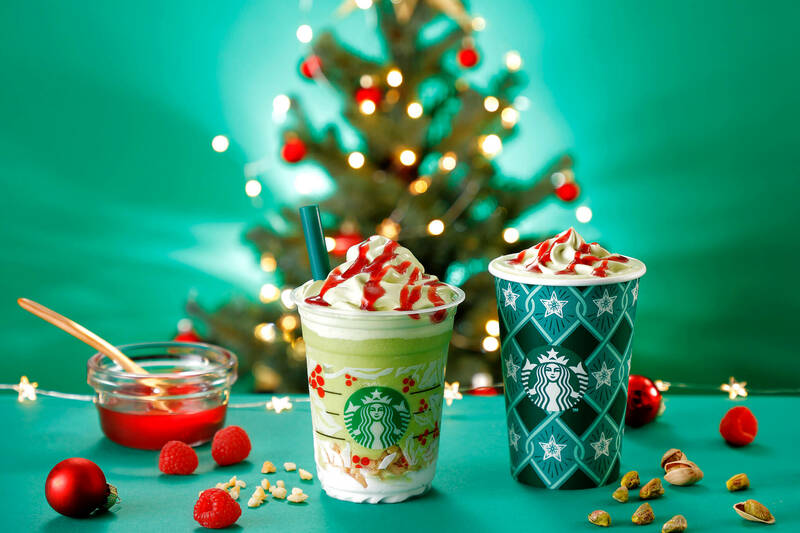 Starbucks Japan will release its third set of drinks in an ongoing series of Christmas themed beverages at the coffee chain. The new Pistachio Christmas Tree Frappuccino® cold beverage and Pistachio Christmas Tree hot beverage will be released on December 5. Christmastime is fasting approaching in Japan―the lights sparkle and illuminate the streets and the holiday season vibe is growing. Seeing Christmas trees decorating people’s living rooms and dotted around outside is sure to elicit a mutual excitement with many people. Starbucks have tried to capture that same feeling with their upcoming new Christmas tree-inspired drinks made with roasted pistachios and a rich, fragrant pistachio sauce. Topping both drinks is a red ribbon raspberry sauce. At the bottom of the frappuccino is a white and snowy whipped cream along with roasted academia nuts for added texture. The whipped cream too is mixed with the pistachio sauce. Its appearance truly reminds one of a Christmas tree. The hot milk in the Pistachio Christmas Tree intensifies the flavour of the pistachios while warming both your heart and body. The Frappuccino® version is perfect with all kinds of customisation just like the hot beverages. It’s best enjoyed by creating your own when ordering – it’s like decorating a Christmas tree with ornaments. The recommended customisation with the hot pistachio drink is an espresso shot. It creates an irresistible harmony with the roasted texture of the macadamia nuts and the texture of the pistachios. For the frappe, try the almond toffee syrup. It draws out the flavours of both types of nuts and creates a dessert-like taste. You should also try soy milk with either of these new drinks as it results in a richer flavour and highlights the pistachios even more. Christmas is almost upon us so why not celebrate with one of Starbucks’ special seasonal selections?